Feel exhilarated with Nora at 90 years young! 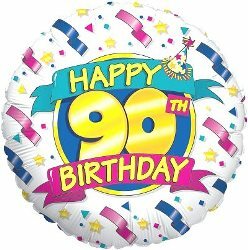 Please join us in wishing Nora Hanley, one of our Vitality class participants a very Happy 90th Birthday this Friday 8th January. Nora has had her fair share of health issues including a hip replacement, cataracts removed, carpel tunnel operation and a double heart bypass, yet during all of these procedures she continued classes doing what she could to her own ability & she still regularly attends two classes every week in Lincoln and North Hykeham. She’s also recruited at least four new members over the years, all of whom still attend classes with her too. Nora says “The classes always lift my spirits. I feel so exhilarated and they definitely keep me supple and keep my joints mobile. The social side is a great boost too, we always have great fun. I enjoy being in the company of so many genuine and nice people. Long may the classes continue”.